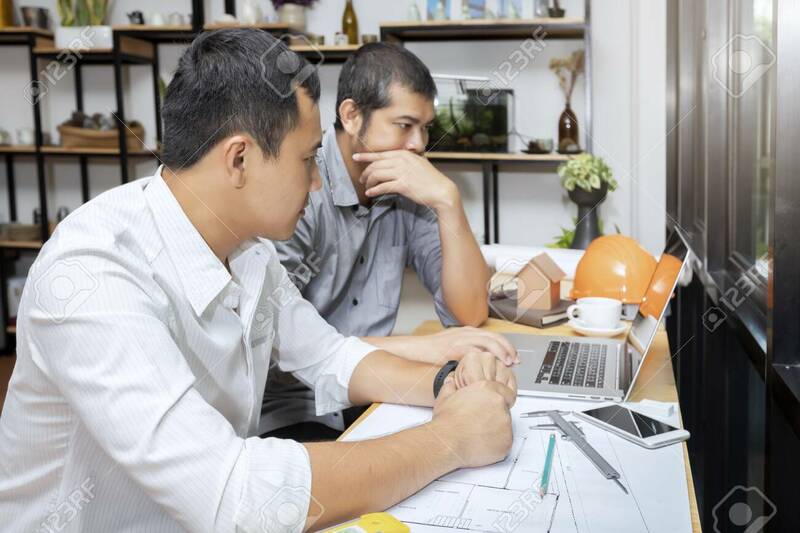 Confident Team Of Architect Working Together In A Office.Then Discussing About New Startup Project On Desk. Architect Discuss With Engineer About Project In Office, Architectural Concept Lizenzfreie Fotos, Bilder Und Stock Fotografie. Image 116540690.